I have measured my stress hormones a few times, now. It all began, after I was experiencing chronic body aches. Although some of it went away with rest and diet, I still didn't felt as my old self, after two months of rest. The pain was consequence of overtraining, due to my efforts to get rid of heart disease as well as due to stress which was caused by family problems. Because of it, I was forced to contact my doctor which scheduled some test. Although I had couple of them, not until I measured my cholesterol and stress hormone levels for the first time, I managed to find the source of the problem. Note: For better view, click right mouse button on the picture and open it in a new window. Also, in the tests below, KORTIZOL is Croatian name for cortisol. After I found out, how high are my ACTH and cortisol levels, I started learning about hormones, endocrine system and how to balance them. Although I was taking fish oil, superberries and Hawthorn, for my heart condition, I decided to order additional supplements such as Ashwagandha and phosphatidylserine. As you can see from the test above, roughly three weeks after taking Ashwagandha and phosphatidylserine, my stress hormones, especially ACTH, decreased a lot. Although phosphatidylserine did work, in my opinion, these these kind of results were mostly attributed to Ashwagandha. The first time I took it, I felt strange sensations in my back, where adrenal gland is located as well as some of the pain I was having. Since my cortisol and ACTH were still elevated, I had to do dexamethasone suppression test to check, that my pituitary gland and ACTH-cortisol feedback loop, are working properly. I have passed the test which can be seen above, where my cortisol is very low due to dexamethasone. Dexamethasone is synthetic glucocorticoid similar to cortisol. When you take synthetic hormones such as this one, the body sees that and decreases natural production of your own hormones or in this case, cortisol. Also, I should say that it was very difficult to fall asleep at night because of dexamethasone. This last blood test was year after my last ACTH and cortisol measurements. As you can see, my ACTH l is right where it should be. However, my ACTH ll is slightly elevated. This is because I had two hour nap, before giving blood for my afternoon measurement, since I got only five hours of sleep, night before. Sleep increases ACTH and cortisol, besides other hormones. Although my ACTH was finally ok, getting better control over cortisol, when it comes to stress hormones, is a little bit more difficult. While trying to decrease cortisol, I ordered Rhodiola. However, I didn't felt the same kind of benefits, as while taking Ashwagandha. In my opinion, part of the brain responsible for controling cortisol works just fine, in my case, which can be seen from dexamethasone suppression test. However, for situations such as this one, mental training, relaxing techniques and herbs like Kava Kava can be very helpful, by improving your response to stress. Also, I didn't measure my cortisol levels after taking only Rhodiola for two months, so I can't confirm my opinion with additional tests. Although Ashwagandha helped me a lot since it works on the part of brain which controls ACTH, I was eager to try other adaptogens, too. Because of it, I ordered Imperial Adaptogen, besides few other adaptogenic formulas. However, I found this one to be the most effective for me. 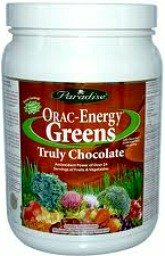 Today I take ORAC-Energy Greens, every other day. 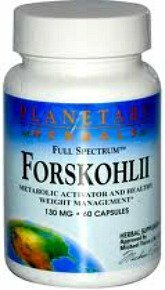 It is produced by the same company and it contains imperial adaptogens as well as other super foods. 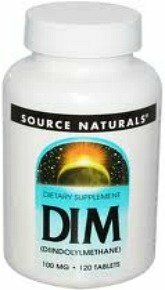 I also took Imperial Adaptogen formula few months before taking the last test which can be seen on my DHEA-S levels. Adaptogens improve the function of endocrine glands, especially adrenal glands which are responsible for production of DHEA and stress hormones such as cortisol.